Parents are more and more conscious about the safety of toys they buy for their kids, and they are right to be! Even though toys that children play with are less hazardous than ever before, there is still a need for parents to be vigilant and aware of various threats that toys may pose. Different aspects may be considered to evaluate toy safety, such as the risks of choking or harm, but one that’s often left out of this conversation (but is equally as important to health) is the amount of chemicals and allergens contained in certain toys. Allergens, such as dust mite allergen and pollen, can get trapped in the fabric of the toy and be difficult to clean. Additionally, toxic chemicals including formaldehyde may be used in the fabric or plastic of the toy, exposing the child to airborne irritants that can aggravate asthma or allergic reactions. For these reasons, allergists and immunologists often suggest parents of highly-allergic or asthmatic children to avoid stuffed toys altogether. But is this always necessary? asthma & allergy friendly® toys are tested and proven to meet strict chemical, physical and allergen tests before being eligible for Certified asthma & allergy friendly®. Contain no chemicals known to trigger asthma and allergy symptoms or irritant responses. A full list of Certified asthma & allergy friendly® products can be found here and you can buy HealthyBaby toys by KidsPreferred here. Courtney Sunna, Allergy Standards’ VP of Sales, was at the Toy Fair expo in New York on February 20, 2018. For the event, she met with the team of Kids Preferred, the premium baby and newborn developmental toy brand. 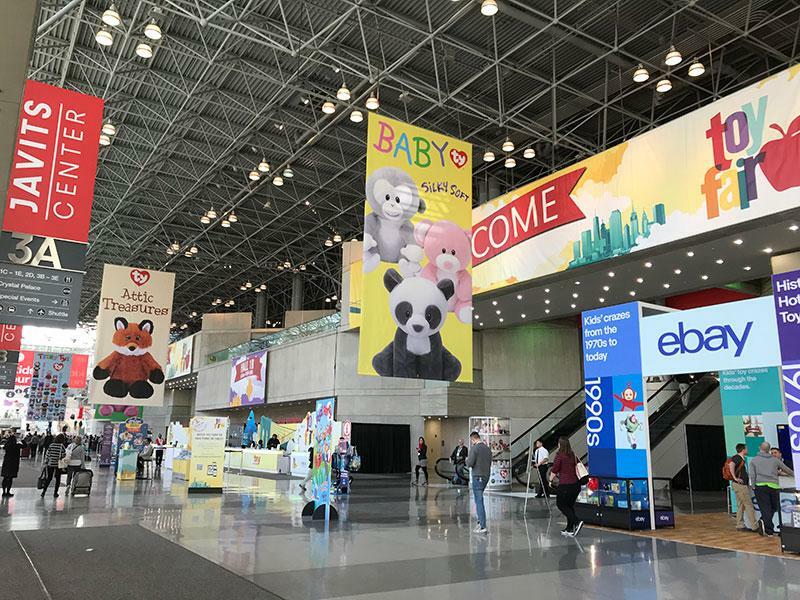 Kids Preferred were showcased their certified toys at the Toy Fair, which is THE event of the year in New York City where toymakers from all around the world come to introduce new products and showcase their creativity. With their asthma & allergy friendly® toy line, called HealthyBaby, Kids Preferred were the very first company to innovate towards healthier toys by obtaining asthma & allergy friendly® Certification about ten years ago. This certification ensures customers that products they buy are safer and healthier for their kids. A global market research done by The Toy Association concludes that further international expansion of the market will focus on Germany and France. Germany is the sixth largest market for U.S. exports, which offers a strong launch pad for U.S. companies, while France has one of the fastest growing populations in Europe, with 18 percent of its population made up of children 14 and under. The toy industry is expanding and innovating rapidly, and with an undeniable trend toward healthier living and healthier products for our homes, toy companies are now looking into developing healthier toys free from chemicals and allergens.